A one piece swivel stem with 3/8" FFL nut. Connects 1/2" ID tubing to 3/8" MFL fittings. 3/8" Chrome Plated Brass FFL Nut and 1/2" Stainless Steel Barb. 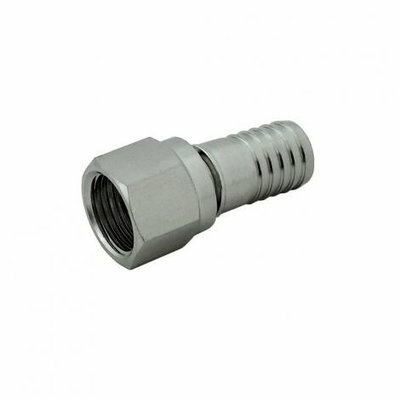 Connects to 3/8" MFL threads. Will fit 1/2" ID tubing.